Cohen Bros. Jewelry is a family-owned business, dating back to 1964. 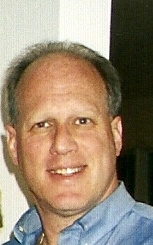 Gary Cohen, son of Charles J. Cohen and nephew of Edward T. Cohen (the original owners), took over in 1990. His customers span the world today, in some cases representing 4 generations of jewelry buyers and recipients. Combining the knowledgeable, straightforward and creative attributes of Charles and Edward, Gary goes about his jewelry business like a family affair. It’s all about relationships, those Gary has with his clients just as much as his clients have with their loved ones. Quality is the defining mark of Cohen Bros. Jewelry. The necklace, the ring, the diamonds, the earrings, the wedding bands — all exceptionally hand-crafted by the greatest jewelry craftsmen in the world. Customers are from all walks of life, age groups and regions of the globe. Cohen Bros. has customers in all 50 states and 6 of the 7 continents of the world. What is truly the most heartwarming are those who’ve been buying and passing on the tradition of Cohen Bros. Jewelry through the generations. Thank you!